“Okay man, I’m here,” Ricardo Barbosa says before I hang up. I quickly put on some shoes and head out from my apartment. Before I even heard the thump of the door behind me, I see it on 11th, a white wale of a truck waiting for me. Barbosa jumps from the truck, his beaming smile matching the degree to which his voice brings to mind Fred Armisen. “See man,” the amplitude of his smile spiking further. 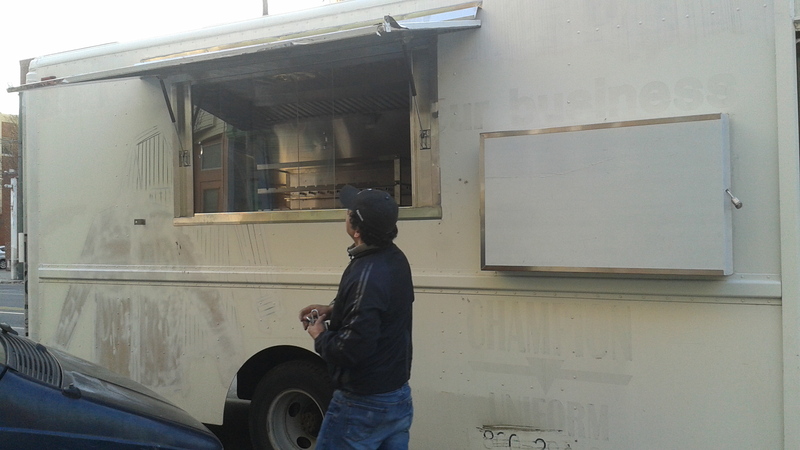 While he bears a striking resemblance to the Portlandia and former SNL star—it’s uncanny—Barbosa is aiming for the food he’s bringing to Philly to be as close to the real thing as possible. 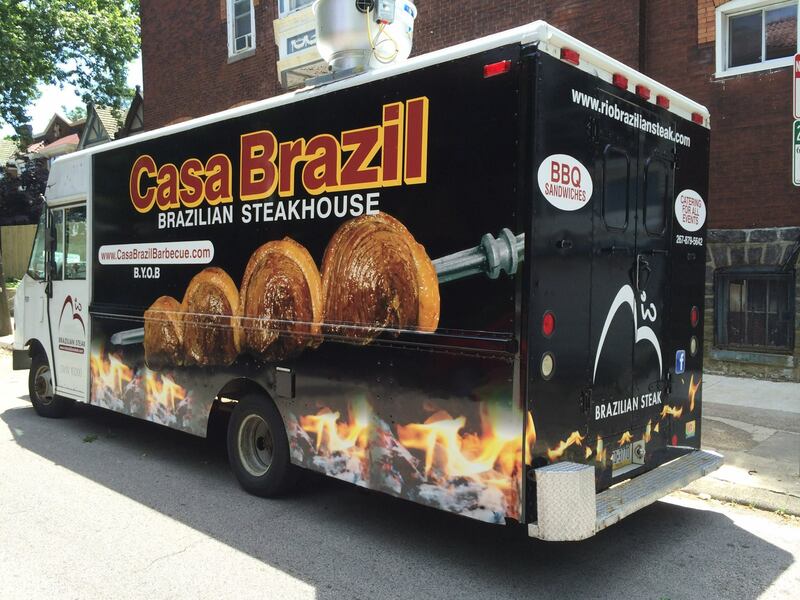 He was stopping by to excitedly show me the next big step in realizing his dream of launching Philly’s second Brazilian BBQ food truck, Rio Brazilian Steak Truck (Braz BQ, which launched in 2013, is the first). Back in March, his truck was a work in progress. Now, it’s ready to go, dressed up with images of the rotisserie style meats he’ll serve. Barbosa, who hopes to wrap up his inspection today, plans on launching next week (check back here soon). It won’t be the first time he’s helped rep the skills of his native country, however. He moved to NYC in 2001 and relocated to Philly in ’04. After two years back in Brazil, he returned to Philly before working at Fogo de Chao Baltimore from ’07-’08 as a cook and server. He performed the same duties at Chima Philly from ’08-’09 before working as a cook at Na’Brasa Brazilian Steakhouse in Horsham, PA from ’09-’12 (at Na’Brasa, he says he crossed paths with Braz BQ’s Adriano Redante, who had worked there as a gaucho). “I grew up with this kind of meat—every Saturday, Sunday cooking,” he says of a family tradition he quickly played an active role in back in Rio de Janeiro. “This is like McDonald’s in Brazil,” he says of the ubiquitous steakhouses that are his inspiration—before we laughed off any quality comparison (unfortunately, they also have McDonald’s).